2013-2016 – Project manager – The National Science Centre – 2012/07/B/HS4/00700 – Causal relations between commodity prices and macroeconomic and financial indicators in the context of structural breaks in the international commodity markets (Key Investigator: dr Monika Papież). 2012-2015 - Key Investigator – The National Science Centre – 2011/03/B/HS4/01134 – Modelling and Forecasting Prices of Energy Sources in View of Poland’s and Europe’s Energy Security (Project manager: dr Monika Papież). 2004 – 2007 - Contractor of the project – KBN Grant 1 H02B 015 26, No 0672/H02/2004/26 – Analiza przestrzenno – czasowa rynku pracy w Polsce i w krajach Unii Europejskiej, (Project manager: dr hab. Anna Malina). 2000 -2003 – Contractor of the project - KBN Grant 1 H02B 004 19, No 0785/H02/2000/19 – Analiza porównawcza poziomu życia ludności w Polsce i krajach Unii Europejskiej w latach 1990–2000, (Project manager: Prof. dr hab. Aleksander Zeliaś). • 2005 – Team Award of the Minister of National Education and Sport for the book, „The standard of living in Poland and the European Union”, (co-author), Warsaw, October 2005. 2004 – Individual Award of the Rector of Cracow University of Economics of second degree for achievements in science, (Cracow, October 2004). Papież, M., Śmiech, S. (2015). Modelowanie i prognozowanie cen surowców energetycznych. (Modelling and forecasting prices of energy sources). Wydawnictwo C.H. Beck, Warszawa. Malina, A. (red.) (2008). Przestrzenno-czasowa analiza rynku pracy w Polsce i krajach Unii Europejskiej. Wydawnictwo Uniwersytetu Ekonomicznego w Krakowie, Kraków. (Śmiech, S.: rozdz. 2 (współautor), rozdz. 7, rozdz. 10 (współautor)). Zeliaś, A. (red.) (2004). Poziom życia w Polsce i krajach Unii Europejskiej. PWE, Warszawa 2004. (Śmiech, S.: rozdz. 2 (współautor), rozdz. 5.3; 5.5 rozdz. 7.2; 7.6). Papież, M., Śmiech, S., & Frodyma, K. (2018). Determinants of renewable energy development in the EU countries. A 20-year perspective. Renewable and Sustainable Energy Reviews, 91, 918-934. https://doi.org/10.1016/j.rser.2018.04.075 (MNiSW-45 pkt) (IF 5-Year 10.093). Dąbrowski, M. A., Papież, M., & Śmiech, S. (2018). Uncovering the link between a flexible exchange rate and fundamentals: the case of Central and Eastern European economies. Applied Economics, 50(20), 2273-2296. https://doi.org/10.1080/00036846.2017.1394974 (MNiSW-20 pkt) (IF 0.750). Śmiech, S., & Papież, M. (2017). In search of hedges and safe havens: Revisiting the relations between gold and oil in the rolling regression framework. Finance Research Letters, in press http://dx.doi.org/10.1016/j.frl.2016.10.006, (MNiSW-15 pkt) (IF 5-Year 0.639). Papież, M., Śmiech, S., & Frodyma, K. (2017). The impact of development of the renewable energy sector in the EU on the energy –growth nexus. In M. Papież and S. Śmiech (Eds. ), The 11th Professor Aleksander Zelias International Conference on Modelling and Forecasting of Socio-Economic Phenomena. Conference Proceedings. 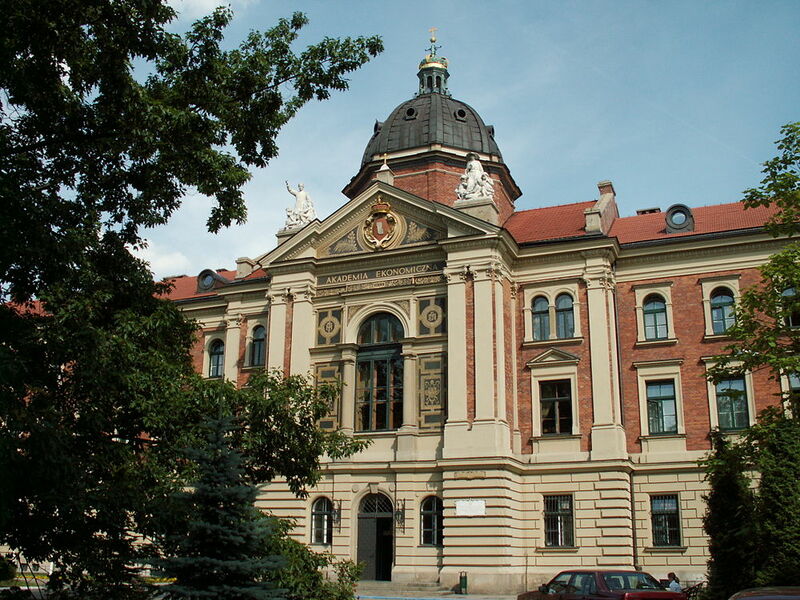 Cracow: Foundation of the Cracow University of Economics, 280-289. Śmiech, S., Papież, M., & Fijorek, K. (2016). Causality on the steam coal market. Energy Sources, Part B: Economics, Planning, and Policy, 11(4), 328-334, (MNiSW-15 pkt) (IF 5-Year 0.682). Papież, M., Śmiech, S., & Dąbrowski, M. A. (2016). The Impact of the Euro Area Macroeconomy on Global Commodity Prices. Argumenta Oeconomica Cracoviensia, (14), 59-77. https://aoc.uek.krakow.pl/article/view/1142/802 (MNiSW-13 pkt). Wanat, S., Śmiech, S., & Papież, M. (2016). In Search of Hedges and Safe Havens in Global Financial Markets. Statistics in Transition new series, 17(3), 557-574. PDF (MNiSW-15 pkt). Śmiech, S., & Papież, M. (2016). It is possible to use gold and WTI to protect portfolio losses?. In The 10th Professor Aleksander Zelias International Conference on Modelling and Forecasting of Socio-Economic Phenomena. Conference Proceedings. Cracow: Foundation of the Cracow University of Economics, pp. 179 - 188. Papież, M., & Śmiech, S. (2015). Dynamic steam coal market integration: Evidence from rolling cointegration analysis. Energy Economics, 51, 510-520. http://www.sciencedirect.com/science/article/pii/S0140988315002297 (MNiSW-40 pkt) (IF 5-Year 3.374). Śmiech, S., Papież, M., & Dąbrowski, M. A. (2015). Does the euro area macroeconomy affect global commodity prices? Evidence from a SVAR approach. International Review of Economics & Finance, 39, 485-503. http://www.sciencedirect.com/science/article/pii/S1059056015001197 (MNiSW-25 pkt) (IF 5-Year 1.397). Dąbrowski, M.A., Papież, M., & Śmiech, S. (2015). Causal relations between nominal exchange rates and monetary fundamentals in Central and Eastern European countries. The Economics of Transition 23 (1), 45–73 http://onlinelibrary.wiley.com/enhanced/doi/10.1111/ecot.12055/ (MNiSW-20 pkt) (IF 5-Year 0.774). Dąbrowski, M. A., Śmiech, S., Papież, M. (2015). Monetary policy options for mitigating the impact of the global financial crisis on emerging market economies, Journal of International Money and Finance 51 (3), 409-431 http://www.sciencedirect.com/science/article/pii/S0261560614002204 (doi:10.1016/j.jimonfin.2014.12.006) (MNiSW-35 pkt) (IF 5-Year 1.916). Dąbrowski, M.A., Papież, M., Śmiech, S. 2014. Exchange rates and monetary fundamentals in CEE countries: evidence from a panel approach. Journal of Macroeconomics, forthcoming, (MNiSW-20 pkt) (IF 5year 0.778). Śmiech, S., Papież, M. 2014. Energy consumption and economic growth in the light of meeting the targets of energy policy in the EU: The bootstrap panel Granger causality approach. Energy Policy 71, 118–129, http://dx.doi.org/10.1016/j.enpol.2014.04.005, (MNiSW-35 pkt) (IF 5year 3.382). Śmiech, S., Papież, M. 2013. Exploratory data analysis of energy security in the EU member countries in the period 2000 – 2010, in: Muggeo, V., Capursi, V., Boscaino, G., Lovison, G., (eds. ), Proceedings of the 28th International Workshop on Statistical Modelling, Universita di Palermo, Palermo, 779-782. Papież, M., Śmiech, S. 2012. The Analysis of the Mechanisms on the European Steel Market (in:) Pociecha J. (ed) Methods and Models for Analysing and Forecasting Economic Processes. Cracow University of Economics Press, Kraków. Papież, M., Śmiech, S. 2011. The Analysis of Relations between Primary Fuel Prices on the European Market in the Period 2001-2011. Rynek Energii, , 96 (5), 139-144. (Web of Science, accession number: WOS:000296310600021), (Cited: 2 in WoS). Papież M., Śmiech S. 2011. The Analysis and Forecasting of Coke Prices, Ekonometria. Prace Naukowe Uniwersytetu Ekonomicznego we Wrocławiu 32, strony: 203-213. Papież, M., Śmiech, S. 2010. Klasyfikacja OFE z wykorzystaniem dystansu GARCH, [w:] Jajuga, K., Ronka-Chmielowiec, W. (red.) Inwestycje finansowe i ubezpieczenia – tendencje światowe a polski rynek. Prace Naukowe Uniwersytetu Ekonomicznego we Wrocławiu 117, 323-330. Papież, M., Śmiech, S. 2010. Klasyfikacja modeli zmienności typu GARCH dla stóp zwrotu OFE, Finanse : czasopismo Komitetu Nauk o Finansach PAN, 2 (3), 97-117. The National Science Centre – 2012/07/B/HS4/00700 ( 2013 -2016). Discovering and understanding the sources of price dynamics in global commodity markets and pricing mechanisms is extremely important for the modern world. Changes in prices of energy sources are a central issue in geopolitics and a key factor in energy security for almost all countries. Changes in food prices trigger inflation and the balance of trade, and thus affect the economies of developing countries. A significant proportion of the population in these countries spend more than half of their income on food, so increasing food prices entails reducing or postponing the individual's expenditure on education or health, which is an obvious barrier to the future development of these countries. Metal prices, including prices of precious metals, remain, as it turns out, an attractive investment opportunity in turmoil periods in the financial markets. A large portion of commodity prices and many stock indices have shown surprisingly similar trends, especially up to the outbreak of the global financial crisis. This allowed researchers to come up with several hypotheses that tried to explain this phenomenon, including: financialization, the rising demand in Asian countries (China, India), inflation expectations, and herd behaviour of investors. In our research project we tried to identify the sources of changes in commodity prices, and we attempted to identify the leading commodity in particular commodity groups. In the entire project we carefully addressed the issue of the stability of the relations and adopted such methodological approaches which allow for observing the changes in these relations. The scope of our study allowed us to draw some general conclusions. The fundamental factors remain the most important source of commodity prices dynamics. The role of particular goods in commodity markets depends on the share of the goods in trade (including the global trade). In case of the food market, the importance of corn prices has increased, due to the increase in the volume of crops associated with biofuels. In case of non-renewable energy sources, Brent and WTI oil prices remain in the lead. Different commodity markets (e.g. food, energy sources, metal markets) appear to be clearly separated from each other, and commodity prices of the market remain largely influenced by factors specific to this particular market. This does not mean that global financial and macroeconomic processes have no influence on commodity prices. This impact is noticeable, and in particular periods, e.g. directly before and during the global financial crisis, the role of financial factors has proven to be the leading one. Papież, M. (2015). The Application of a Rolling Causality Test for Analysing Dependencies between the Prices of Corn, Crude Oil and Ethanol, Zeszyty Naukowe Uniwersytetu Ekonomicznego w Krakowie, 940(4), 101-116. https://zeszyty-naukowe.uek.krakow.pl/article/view/500 (MNiSW-11 pkt). Śmiech, S., Papież, M., Dąbrowski, M.A. 2014. Energy and non-energy commodity prices and the Eurozone macroeconomy: a SVAR approach. In: Papież, M., Śmiech, S., (eds. ), Proceedings of the 8 th Professor Aleksander Zelias International Conference on Modelling and Forecasting of Socio-Economic Phenomena. Cracow: Foundation of the Cracow University of Economics, 165-174. Papież, M., Śmiech, S., & Dąbrowski, M. A. (2014). The impact of the Euro area macroeconomy on energy and non-energy global commodity prices. Papież, M., Śmiech, S., & Dąbrowski, M.A., (2014). The Impact of the Euro Area Macroeconomy on Global Commodity Prices , in: Cobanoglu, C., Ongan, S., (eds.) Proceedings of the 2nd International Interdisciplinary Business-Economics Advancement Conference (IIBA 2014). The Istanbul University, Istanbul, Turkey, 23-33. PDF. Dąbrowski, M.A., Papież, M., & Śmiech, S. (2014). Are exchange rates in CEE countries driven by monetary fundamentals? Evidence from a panel approach, in: Talašová, J., Stoklasa, J., Talášek, T., (eds.) Proceedings of 32nd International Conference Mathematical Methods in Economics. Faculty of Science Palacký University, Olomouc, Olomouc, Czech Republic, 145-150. PDF http://www.mme2014.upol.cz/downloads/MME_2014_Proceedings.pdf (MNiSW-15 pkt). Papież, M., (2014). A dynamic analysis of causality between prices of corn, crude oil and ethanol, in: Talašová, J., Stoklasa, J., Talášek, T., (eds.) Proceedings of 32nd International Conference Mathematical Methods in Economics. Faculty of Science Palacký University, Olomouc, Olomouc, Czech Republic, 754-759. PDF http://www.mme2014.upol.cz/downloads/MME_2014_Proceedings.pdf (MNiSW-15 pkt). Wanat, S., Papież, M., & Śmiech, S. (2014). The conditional dependence structure among precious metals: a copula-GARCH approach, in: Talašová, J., Stoklasa, J., Talášek, T., (eds.) Proceedings of 32nd International Conference Mathematical Methods in Economics. Faculty of Science Palacký University, Olomouc, Olomouc, Czech Republic, 1096-1101. PDFhttp://www.mme2014.upol.cz/downloads/MME_2014_Proceedings.pdf (MNiSW-15 pkt).